Welcome to the June 11, 2018 edition of ACM TechNews, providing timely information for IT professionals three times a week. China's Schools Are Quietly Using AI to Mark Students' Essays ... but Do the Robots Make the Grade? Oak Ridge National Laboratory's Summit system is expected to be named the world's fastest supercomputer in the Top500 rankings coming out later this month, effectively ending China's five-year reign at the top of the list, says the University of Tennessee's Jack Dongarra. Summit can execute calculations of 200 petaflops a second, and is expected to help expedite the development of artificial intelligence and other technologies. Summit is more than twice as fast as the leading supercomputer ranked in the most recent Top 500 list in November, which is based at China's National Supercomputing Center. 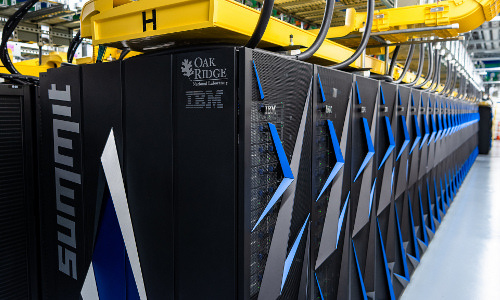 Powering the Oak Ridge system are 9,216 central processors from IBM and 27,648 graphics processors from Nvidia interconnected by 185 miles of fiber-optic cable. Summit is viewed as a stopgap measure, as supercomputers five times faster are in the works both in the U.S. and overseas. With the introduction of the Coding Thailand project in collaboration with the private sector, Thailand’s Digital Economy Promotion Agency seeks to encourage the cultivation of computational thinking skills among young Thais. Digital Economy and Society Minister Pichet Durongkaveroj says the initiative's main tenet is that people can be educated through any electronic medium, and he cites a shortage of domestic data scientists and cybersecurity specialists as a problem that projects such as Coding Thailand aim to remedy. Pichet notes the project will involve creating a computer-science knowledge hub that supports anytime-anywhere access. "CodingThailand.org will open up a new dimension of learning, as it encourages analytical thinking, problem-solving skills, and creativity," he says. "All of these elements are essential for every occupation." 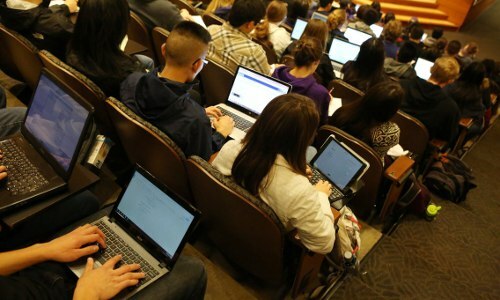 The University of Washington, Seattle (UW Seattle) has unveiled a new admissions policy in which incoming freshmen will be immediately notified whether they have secured a place in the coveted computer science major. Most students who want to major in the subject must currently wait a year or two after acceptance before applying. By alerting incoming students that their spot in the major is assured, the university wants to relieve the frustration of admission. UW Seattle's Dan Grossman says the school plans to use the new policy to enroll about 200 computer science majors directly as freshmen in fall 2019. He also notes approximately 100 slots will be reserved for students who decide, after they have already secured admission and are taking courses as freshmen or sophomores, that they want to major in computer science or computer engineering. Volkswagen researchers have simulated industrially relevant molecules using a quantum computer, which could significantly advance the development of high-performance electric vehicle batteries. They have simulated molecules such as lithium-hydrogen and carbon chains, and are now working on more complex chemical compounds. The ultimate goal is to simulate the chemical structure of a complete electric vehicle battery on a quantum computer to create a configurable chemical blueprint that is ready for production. Using new algorithms, the researchers laid the foundation for simulating and optimizing the chemical structure of high-performance electric vehicle batteries on a quantum computer. A quantum algorithm could simulate the chemical composition of a battery on the basis of different criteria, significantly speeding the battery development process. Researchers in Volkswagen's IT labs in San Francisco and Munich, Germany, are working with technology partners Google and D-Wave to advance quantum computers' capabilities for applications relevant to the company. Researchers at The Ohio State University have devised a magnetic control system to make DNA-based nanorobots move on command, with significant speed improvements over previous technology. The control system reduces the response time of prototype nanorobot components from several minutes to less than a second. The work lays the foundation for nanorobots that could one day manufacture objects, such as drug-delivery devices, as effectively as full-size robots. Prior to this, researchers could only move DNA indirectly by inducing chemical reactions to encourage certain movements, or introducing molecules that reconfigure the DNA by binding with it. Using DNA origami, the team built rods, rotors, and hinges, then used stiff DNA levers to connect the nanoscopic components to miniature beads made from polystyrene containing magnetic material. The researchers used a magnetic field to direct the particles to swing components back and forth or rotate them, which the components did in less than one second. 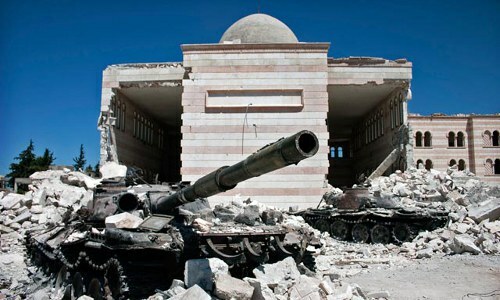 Rice University and Duke University researchers, together with the Human Rights Data Analysis Group (HRDAG), are using a new method called "hashing with statistical estimation" to estimate the number of identified victims killed in the Syrian civil war. The new method offers real-time estimates with greater accuracy than previous statistical methods for finding duplicate records in databases. Using records from four databases of people killed in the Syrian war, Rice University's Beidi Chen and her colleagues estimated there were 191,874 unique individuals slain from March 2011 to April 2014, very close to the estimate of 191,369 compiled in 2014 by HRDAG, which relied on human workers. Hashing with statistical estimation proved faster, simpler, and less expensive than using human workers, with an error range of less than 1% of the total number of victims. Hashing involves converting a complete data record into a number called a hash, via an algorithm that considers a record's alphanumeric information. Hashes are compiled in a table with the proximity of records correlating to textual similarity. The algorithm and methodology could be applied to medical records, official statistics, and industry applications. 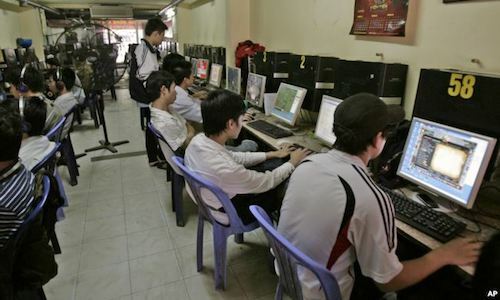 Google is funding programs to train Vietnamese students in introductory computing skills. The Mekong Community Development Center will run classes for schoolchildren using the Scratch computer language as the primary programming tool. Scratch was created to make programming more widely accessible. Novice coders employ logic to design things such as animation and games, dragging colorful objects and command labels around the software interface. The initiative has enrolled 1,200 public school students in Ho Chi Minh City and the provinces of Vinh Long and Tien Giang to date. "To support Vietnam's development in the direction of the Industrial Revolution 4.0 in the most effective and practical way, Google is focused on developing projects to build and raise awareness and capacity in information technology in Vietnam," says Google Asia Pacific's Ha Lam Tu Quynh. "We believe children in particular will be the best creators of the future." Decades of research at Yale University has been applied to the development of a new blockchain security system. CertiK is based on the CertiKOS certified operating system created by Yale's Zhong Shao, and a new foundation, also called CertiK, is tapping into the coder community to build out the system. Former Yale researcher Ronghui Gu says the foundation trains coders in CertiK's formal verification method, which entails "breaking down hard-to-solve problems into many small, easy-to-solve mass proofs." Proofs can be solved manually, using one's own algorithms, or using CertiK's techniques; these proofs are confirmed once they are validated by multiple independent entities. Gu says following verification, "People can use these certified libraries to build more certified systems. We’re building a certified human knowledge database." 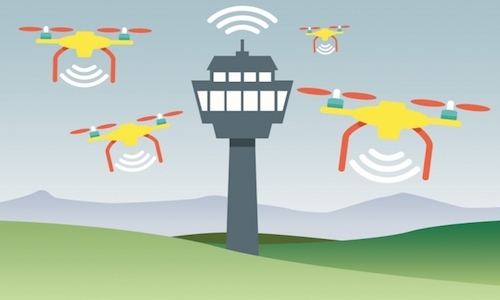 An algorithm developed by Massachusetts Institute of Technology (MIT) researchers can refresh data within a simple wireless communication system, avoiding congestion. A team led by MIT's Eytan Modiano modeled a basic network comprised of one data receiver and multiple nodes, operating under the assumption that only one node can broadcast data over a wireless channel at any given time. Their algorithm calculates an "index" for each node at any given moment, dictated by the freshness of the data being transmitted, the reliability of the transmission channel, and the priority of the node. Nodes with greater priority, a more reliable channel, and older data are tagged with a higher index. The algorithm instructs the node assigned the highest index to send its data to the receiver, ensuring receipt of the freshest possible data from all nodes without congesting the network's wireless channels. Researchers at Tohoku University and the National Institute of Technology at Hachinohe College in Japan have developed a snake-like robot with the body of a fire hose. They say this new robotic system, called the Dragon Fighter, can wiggle its way into windows or other gaps in a building, carrying and directing water as it goes. The robot fire hose powers itself by firing high-pressure jets of water downward, lifting itself off the ground. These jets, steerable nozzle modules distributed along the length of the hose, siphon water out of the high-pressure stream inside of the hose and spray it downwards. Each module can direct itself independently, enabling the hose to weave itself through small gaps deep into a building in order to find the source of a fire. A computer model that predicts how tumors will develop has been created by researchers at Queen Mary University of London (QMUL), University College London, Barts Cancer Institute, and the Institute of Cancer Research, all in the U.K. Their study sought to find a way of interpreting the genetic sequences of cancerous cells by using hidden driver mutations. The model employs this genetic data in conjunction with defined algorithms to forecast changes that may happen as the tumor progresses. The next step for the team is to confirm the accuracy of the system's predictions by testing it in pre-clinical models and analyzing tumor samples of patients under long-term surveillance. "It would be a great advantage to know if a tumor is going to change in a certain way and so be able to administer the most effective treatment in light of the prediction," says QMUL's Trevor Graham. A quarter of schools in China are testing a device that uses artificial intelligence (AI) to grade students' essays, according to the program's scientists. The project, led by Zhou Jianshe of Capital Normal University in China, aims to understand the general logic and meaning of the text in an essay and make a human-like judgment about its quality. The device's AI software grades the work and suggests improvements in areas such as writing style, structure, and theme. Embedded in a cluster of high-speed computers in Beijing, the tool is improving its ability to understand human language by using deep learning algorithms to analyze essays written by Chinese students and compare results with human teachers' grading and comments. According to a government document, in tests involving 60,000 schools and more than 120 million people, the essay-grading device and human grader gave the same score 92% of the time.